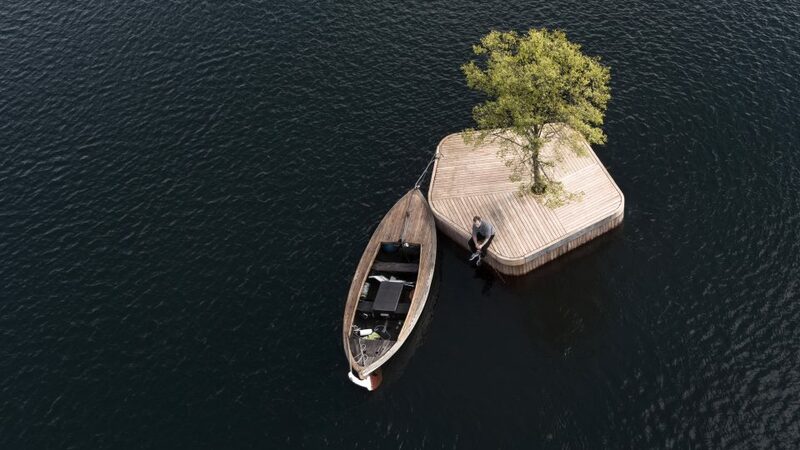 Built at and launched from a local boatyard, this mobile park prototype (or: “parkipelago”) is the first of a series of floating platforms designed to provide recreational space for kayakers, swimmers, sunbathers and event space for small gatherings and public lectures. 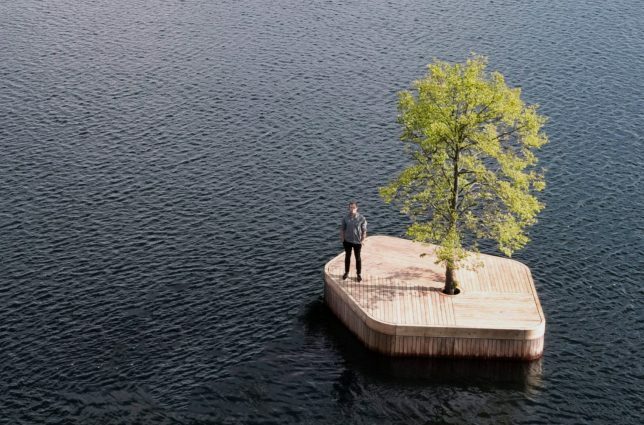 Created Australian architect Marshall Blecher and Danish designer Magnus Maarbjerg, the first wooden platform in the set is just over 200 square feet and features a single linden tree at its center. 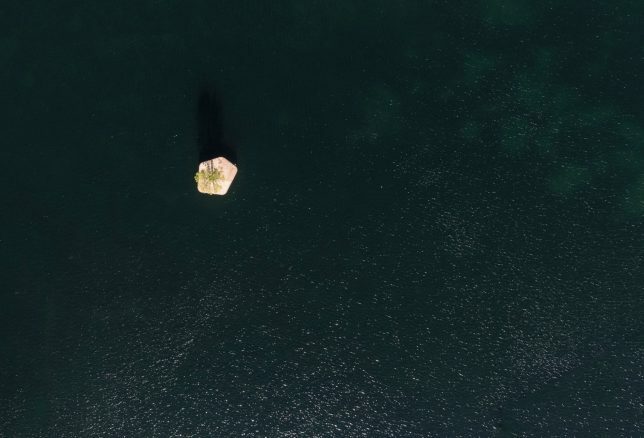 Nine other Copenhagen Islands will join it out in the water soon, each offering something unique, including a diving board, stage, sauna and cafe. They can also be joined for special events, connected to create one larger integrated structure. 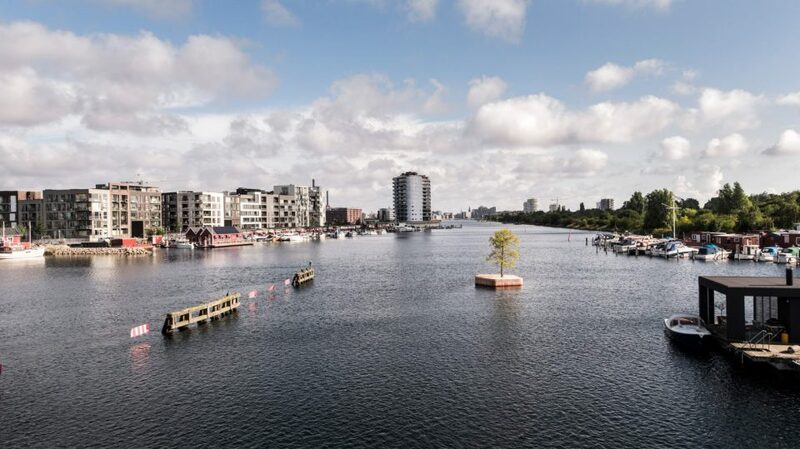 “It was developed to introduce life and activity to Copenhagen’s rapidly developing harbour and to bring back some of the whimsy that has been lost in its development,” explain the designers. 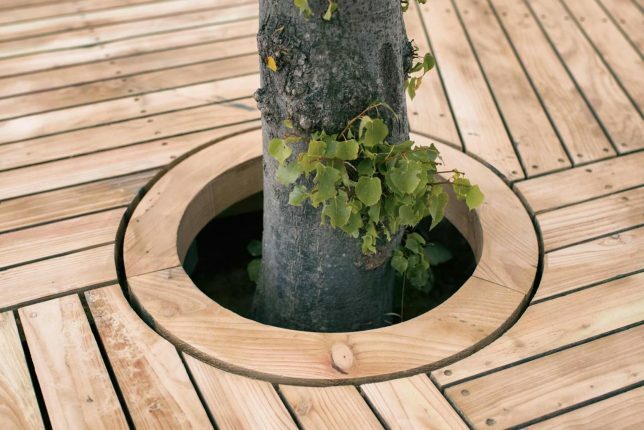 They hope their work can also inspire similar projects in other cities. Aptly, one of the first planned activities for this initial micro-park will be a lecture on creative urban design strategies. “My hometown of Sydney has an enormous and beautiful harbour, but it is dominated by waterside mansions and rows of underused white yachts,” says Blecher. “Projects like this could help democratise harbours and bring some life back onto the water.” And in big, bustling cities without sufficient park space, the water offers a ready source of square footage that often goes underutilized. The first stage of the project was funded by the Danish arts fund (Statenskunstfond) and Havnekulturpuljen, an organisation that promotes and cultural activities within the harbor. Blecher and Maarbjerg are working with the Danish arts fund and other not-for profit groups to fund the next stage of development. 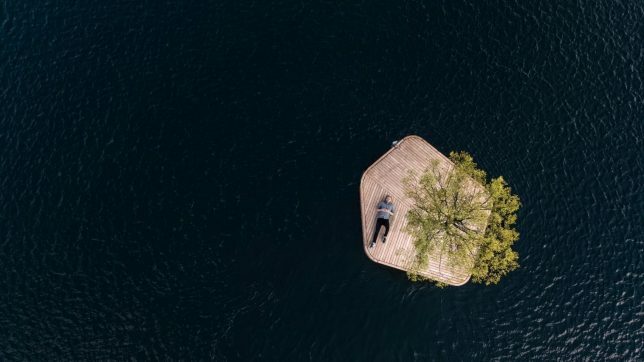 Images by Christian Emdal and drone photos by Airflix.